A 47-year-old former detective constable from Hatton Park has admitted to misusing police systems. Norman Nigel Stephens illegally used Warwickshire Police's incident management, intelligence and number plate recognition systems in May and June of 2018. Stephens' offending was identified as part of a separate investigation. 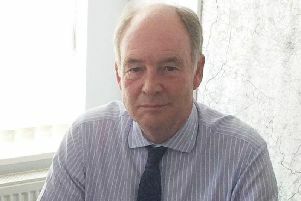 He was arrested on June 19 in 2018 and subsequently suspended from his position as a detective constable in the force's child exploitation team. He resigned from the force in November 2018. Appearing at Leamington Magistrate's Court today, Wednesday February 13, Stephens pleaded guilty to four counts of causing a computer to perform a function to secure or enable unauthorised access to a program or data. Stephens was sentenced to a 12-month community order and ordered to do 150 hours unpaid work and pay £270 in costs. He will now be subject to internal proceedings. "We carry out regular checks to ensure officers and staff accessing information on force systems have a legitimate policing purpose for doing so and where they don't, we take robust action. "Stephens' behaviour fell well below what we expect from our officers and staff. As we have seen in this case, when officers and staff do misuse systems, they won't only face internal disciplinary proceedings, they may also feel the full force of the law."